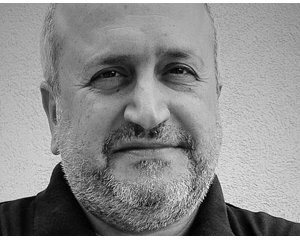 Abdo Nawar has been active on the Lebanese arts scene since 1982. He has staged several plays and has directed several documentaries and short films. He administered Danse Cité in Montreal (Canada) from 1990 to 1999. 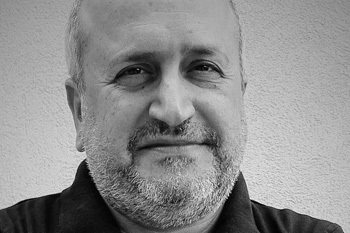 Since 2001, in addition to his artistic activities in broadcasting and theatre, he has founded ICARE dedicated to the visual arts and multimedia in Beirut. In addition, he manages the SHAMS association. A lecturer in several Lebanese universities (ALBA, NDU, IBA, etc. ), he has been on the teaching staff at the Institute of Fine Arts of the Lebanese University since 2014. Since 2007, together with Claudine Dussollier, he co-directs RAMI, an experimentation and distribution platform that organizes international exchanges concerning contemporary art, digital tools and multimedia. He took the initiative for organizing the Averroès conferences in Lebanon, the Multaka Ibd Rushd, launched in 2012.